To start the summer off, I drove to the high country of Yosemite National Park for a solo day hike. 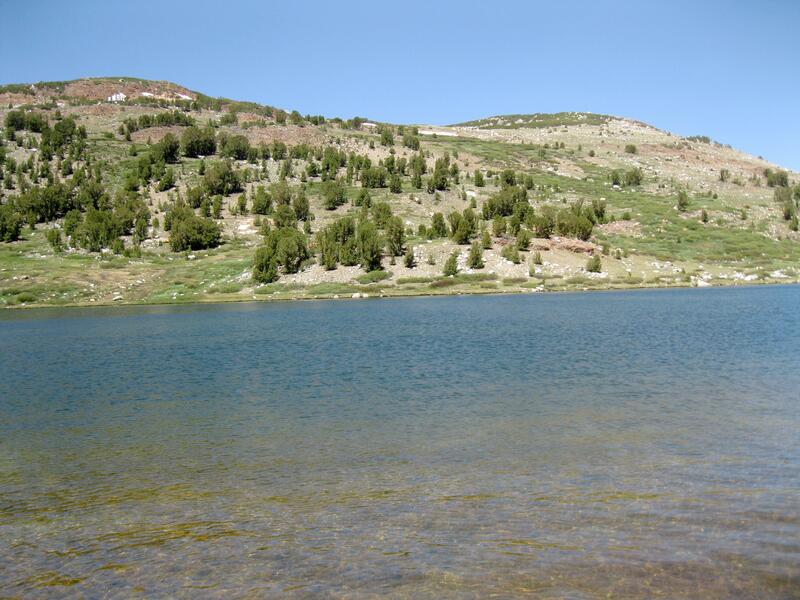 I learned of Spillway Lake by reading someone else’s hiking notes on-line. Armed with a map and memory of the notes, I headed out to the lake. 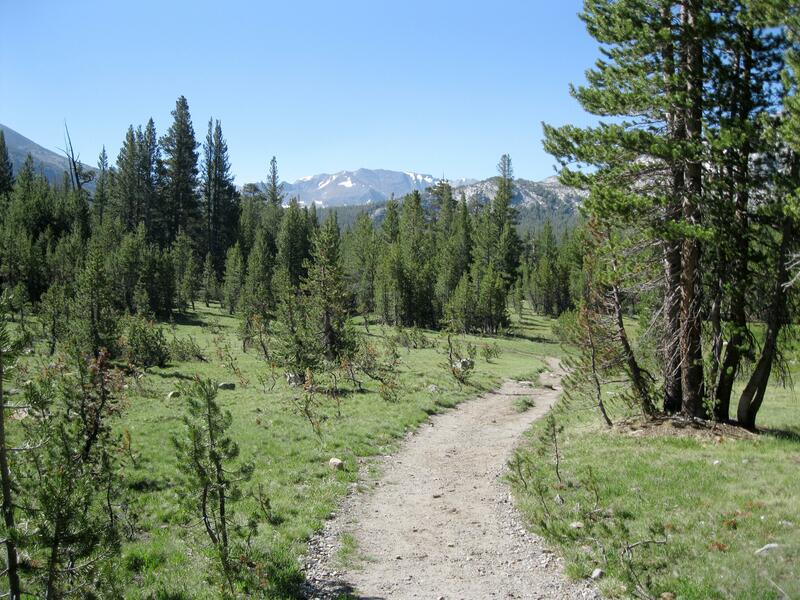 The trailhead was at an elevation of 9700 feet and continued to gently incline by 800 feet. Cicadas buzzed as I walked through the shady, mosquito-filled forest. As I made my way out of the trees, spread before me was the verdant and marshy Dana Meadows. 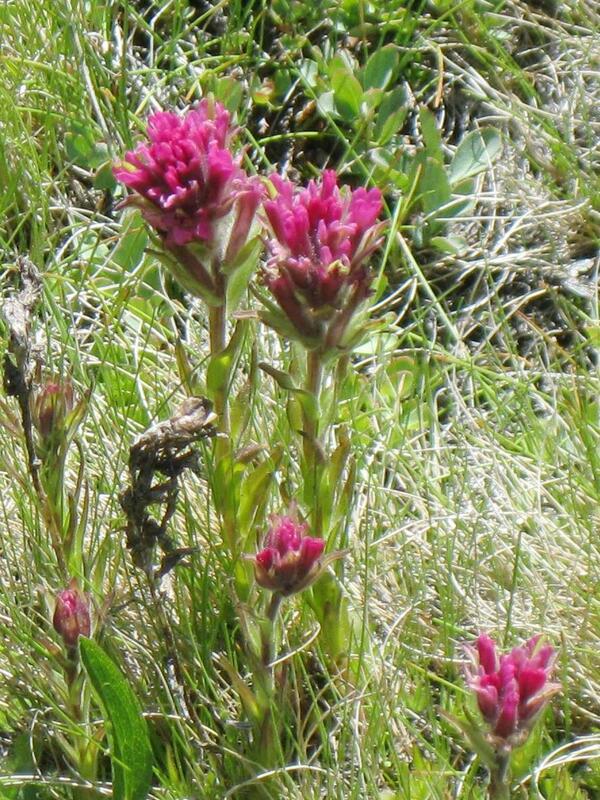 Flowers appeared in patches throughout the sunny areas: shooting stars, Brewer’s lupine, some aged mountain phlox, and red mountain heather. 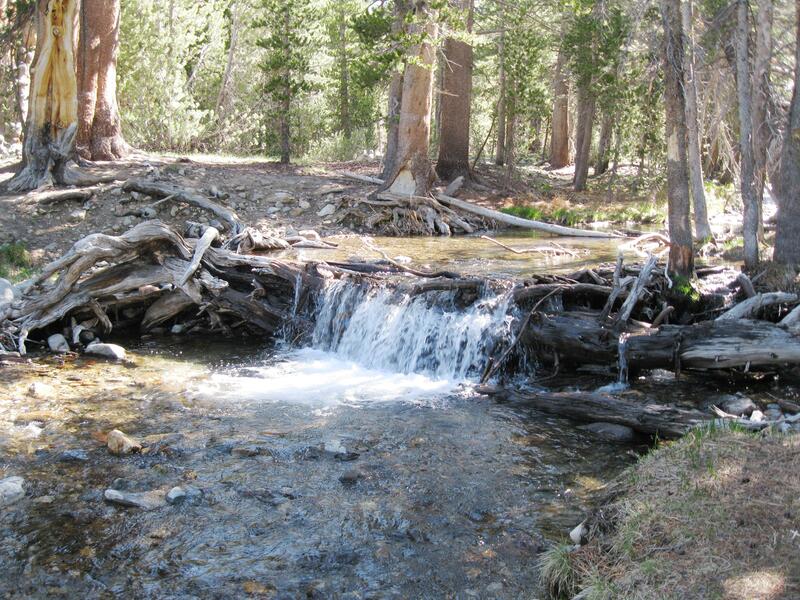 The first water crossing was about a half-mile in at Dana Meadows Creek. It was an easy rock-hop to the other side. At the next crossing, there were a couple of small tree logs stretched across the water. It, too, was an easy walk across. The second crossing of the Dana Fork. 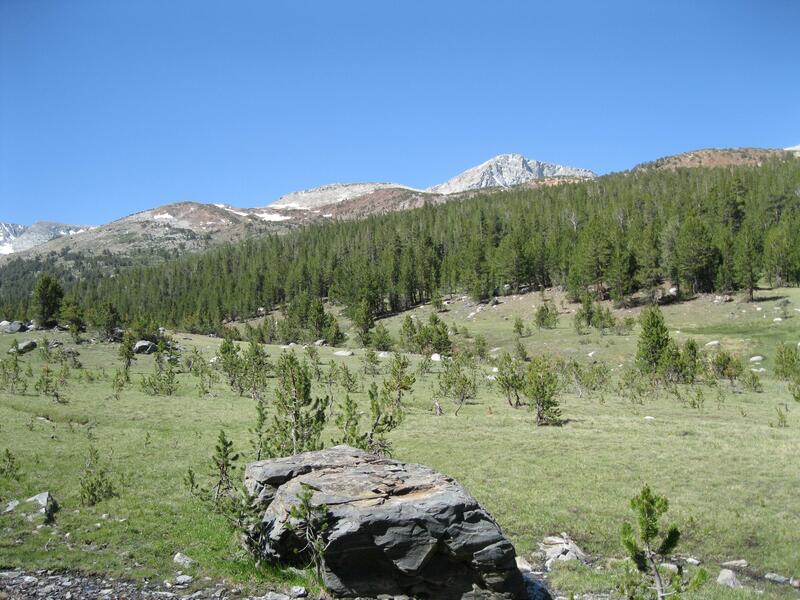 When I looked up and saw Kuna Crest and Mammoth Peak I stopped and sat for moment. 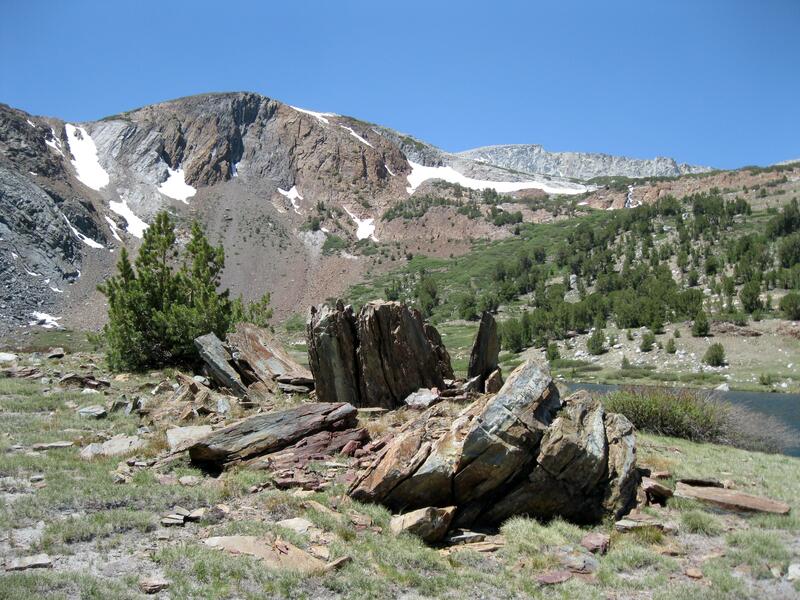 I saw a wonderland of nature’s colors: the snowy granite mountains against the cloudless blue sky; the red rock of Kuna Crest; the dark green forest; and the light green meadow dotted with white boulders. 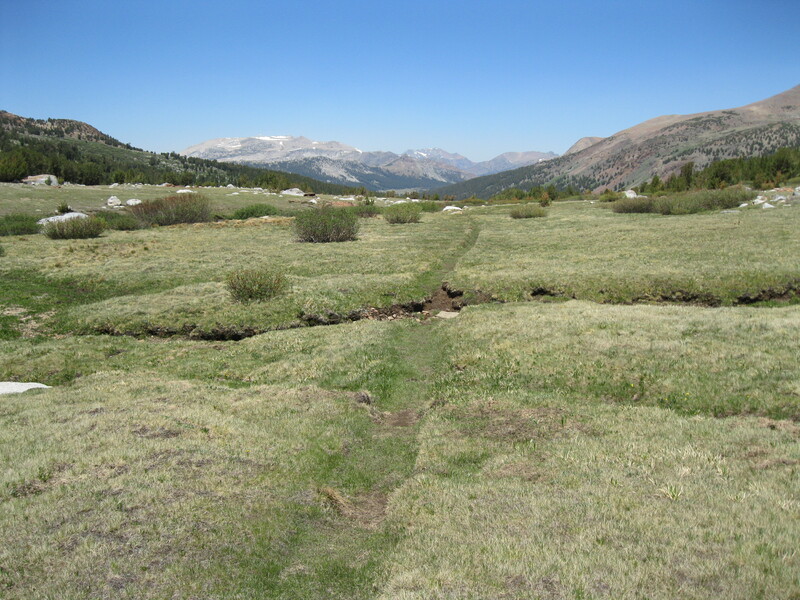 Nearing the lake, the trail skirted Parker Pass Creek and led to a large sunny meadow. The wide, open meadow at Spillway Lake. Lazy marmots sat in the sun up there at 10,500 feet, and the wind blew wildly. Spillway Lake was on the west side of the meadow. Spillway Lake is quite shallow. Nice for wading in. Looking around, I couldn’t believe that I was the only one there. I walked around the lake part way, then finding a shady spot, I sat and ate lunch. A California gull circled the lake trying to catch his lunch. Interesting granite formation at the lake. As I focused on the trail on the way out, a weasel scurried in front of me, too fast to capture a photo. 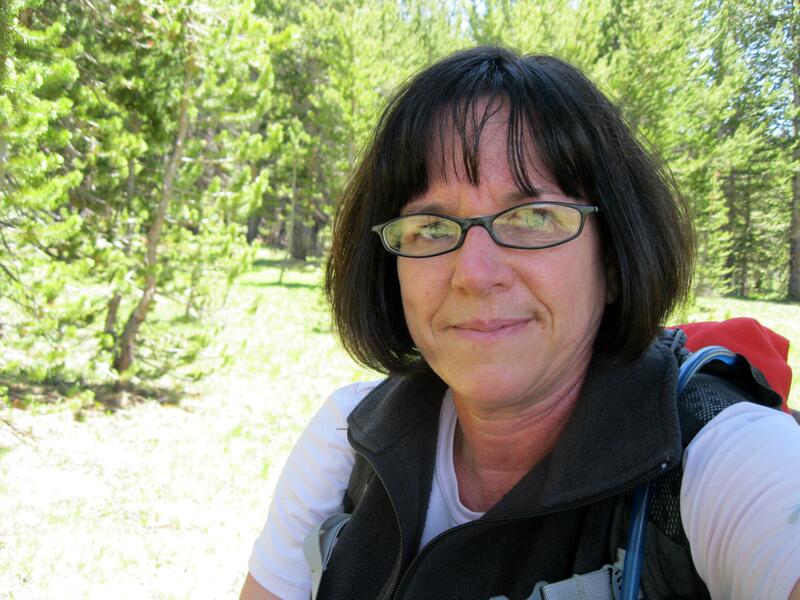 This entry was posted in Yosemite Hikes and tagged Dana Meadows, First day of summer, Hiking, Kuna Crest, Lemmon's paintbrush, Parker Pass Creek, Spillway Lake, Yosemite on June 22, 2012 by Janet. Somehow found an earlier “posting”…will catch up with you ONE WAY OR ANOTHER!!! BEAUTIFUL COUNTRY!…you and yours are BLESSED!! !